A Game of Thrones ends with enough cliffhangers that the other six entries in this still-unfinished saga could each be merely a continuation of one of the key threads introduced in the first book. 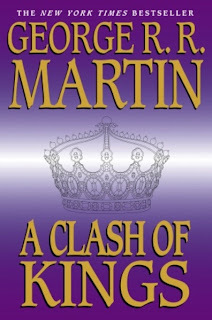 But A Clash of Kings quickly makes clear that Martin is only getting started. The first half of the 730-page novel simultaneously expands and shrinks the scope of the narrative, venturing into uncharted realms of a region so thoroughly mapped in the first book that I presumed we'd already charted everything. Yet Martin also pulls back from the action to reconfigure narrative foci, introducing new POV characters and honing established ones with new character insights and growths. Some characters who experienced so much upheaval in the first book find themselves somewhat stagnated, their dreams and desires muted by hard reality. Three of my favorite characters thus far—Arya, Jon Snow and Daenerys Targaryen—all experience huge setbacks and perils that force them all to mature even faster than they already have. Meanwhile, the best character of the series, Tyrion Lannister, undergoes bold changes that make him even more endearing and likable even as he fights for the good of his loathsome family. The dynamic between him and his sister, Cersei, now chafing as Queen Regent of a dangerously belligerent son and further stressed over her twin's captivity, is magnificent. The two plot against each other incessantly, and the series of miniature victories each enjoys over the other is as compelling in its own way as the civil war ripping apart Westeros. 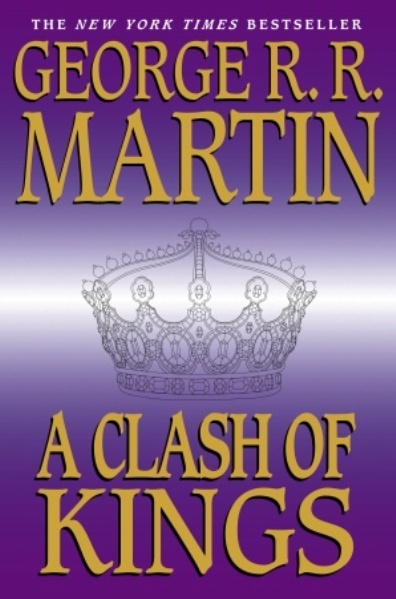 Amazingly, A Clash of Kings ends on an even more ambiguous note than A Game of Thrones, with utter chaos sweeping the land and every POV character placed in precarious positions, and all of them displaced from their homes. It's at the point where one wonders what glory any of the contesting kings would take in ruling the Seven Kingdoms, as whomever triumphs stands only to inherit a scorched earth and maimed smallfolk. If A Game of Thrones was unsentimental, A Clash of Kings is almost mercilessly bleak. But that only makes it more gripping to see these people still carrying on, even if in folly.